My fascination with neutral eyeshadows has never been a secret. Neutral eyeshadows are reliable, easy to wear, and effortless. Seriously, what can be better? Last month, on my IMATS New York trip, I picked up Sigma's Warm Neutrals Eye Shadow Palette along with a couple brushes (review coming soon). When I first saw it I couldn't pass up on it. These twelve dreamy neutral eyeshadows were right up my alley, and they just had to come home with me. Needless to say, they are all a welcome new addition to my collection. The shadows come housed in a mirrored palette with a magnetic closure. It's very lightweight, and perfect for travel. 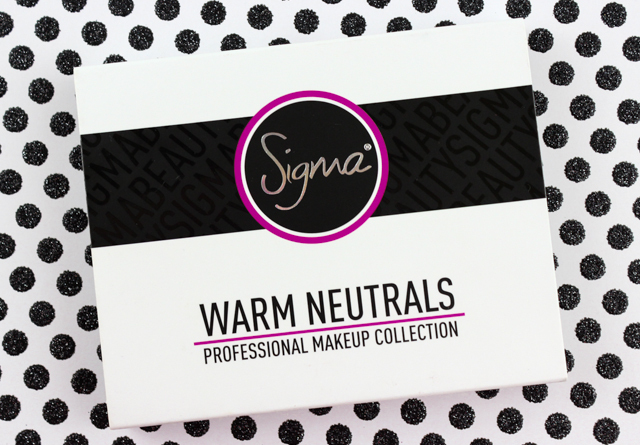 Sigma's Warm Neutrals Eye Shadow Palette is nothing short of amazing. The eye shadows are nicely pigmented, smooth, easy to blend, and long wearing. I appreciate the mix of browns, golds, and pinks, as well as the variety of finishes. The number of looks that can be created with these colors is vast. I love it! 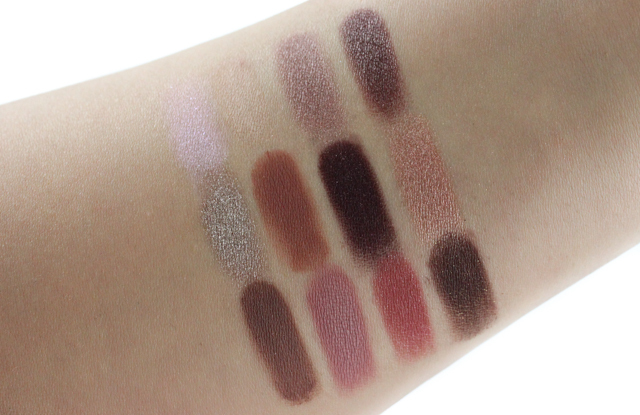 All of the eyeshadow colors are lovely, and they compliment each other very well. My favorites are Cinnamon (makes a great transition color), Sugar Milk (awesome brown bone highlight), Balanced (when applied to the lids it gives eyes a luminous appearance ), and Russet (adds some depth). One would assume that I would be pretty tired of neutral eyeshadows by now, since there are so many out there on the market. But luckily for me, I think these ones from Sigma are interesting enough to get me excited. In fact, this has become one of my most-reached-for eyeshadow palettes as of late. It's so versatile and I really enjoying using it and coming up with looks. 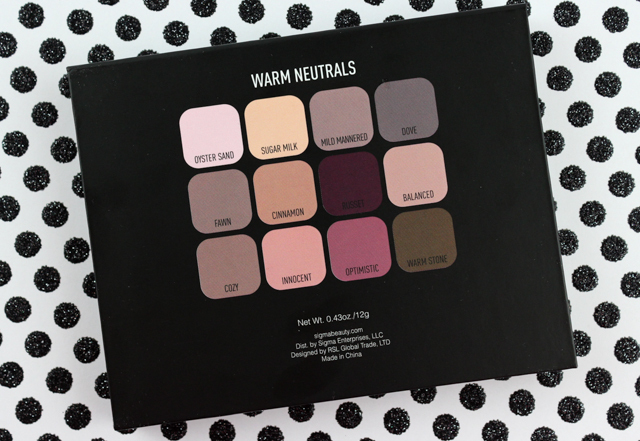 If you are a fan of neutral eye shadows, check out Sigma's Warm Neutrals Eye Shadow palette. You won't be disappointed. 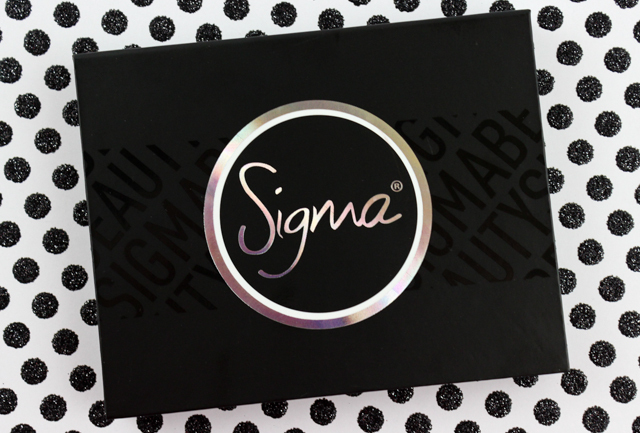 What do you think about Sigma's Warm Neutrals Eye Shadow Palette? 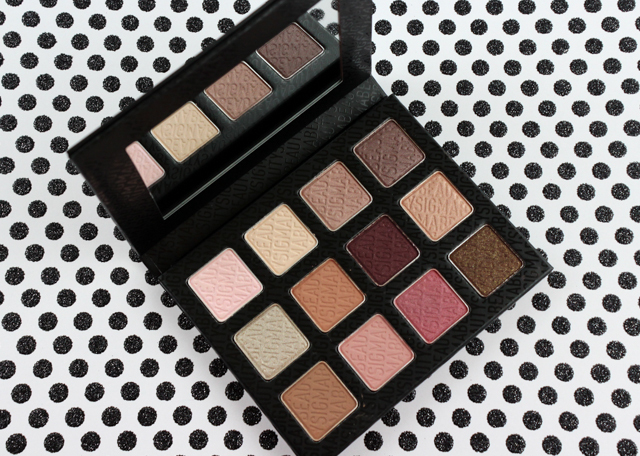 Which are your favorite neutral eyeshadow palettes? I love the warmer tones! Such a beautiful and unique range of warm shades! I'm glad it's not just 'neutrals' but has more fun tones! I think this is going on a wish list! 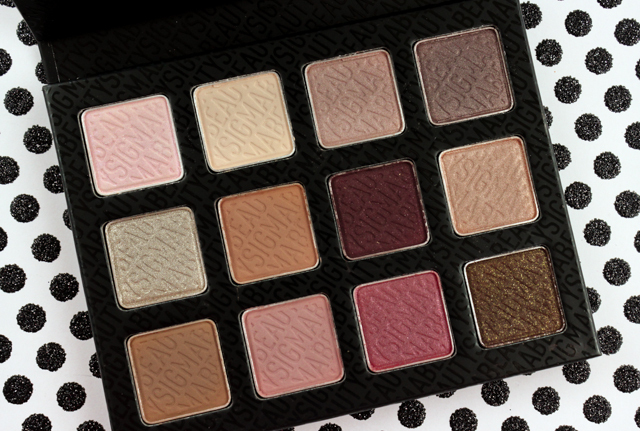 This palette is totally fun, Sharlynn!